New research has debunked the controversial hypothesis that obesity has some protective effects in certain individuals, and some obese people live longer than those of normal weight. 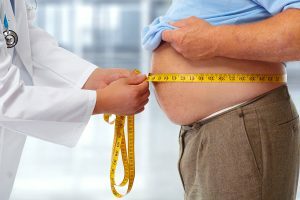 A population-based study, run by researchers at Northwestern University, Illinois, US, analysed 190,672 in-person examinations (mean age 46.0 years for men, and 58.7 years for women), and found that those with obesity did not live longer than patients of normal weight. Furthermore, patients with obesity experienced a greater proportion of life spend with cardiovascular disease. Although those with obesity experienced similar longevity to those of normal weight, people who were obese were significantly more likely to develop CVD at an earlier age. Therefore, research which provides clarification on the risks can only be a positive development – obesity must be reduced, it does not prolong life, it can only increase risk of CVD mortality and morbidity.